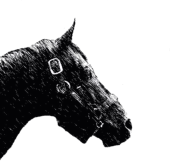 © Phalaris Project 2013-2017 - Last updated July 8, 2017 Annuals/Year Reviews Includes all text-based, annually produced books, including Bloodstock Breeders' Review, American Race Horses, Class Race Horses. Made with MAGIX Racing Info Includes all books which cover a wide range of information about horse racing. Anthologies/Columns Includes all books which are collections of columns or articles. Bios/Autobiographies/Memoirs Includes all biographies and autobiographies of individual people, as well as memoirs. General History Includes all books which cover the history of horse racing in general. Handicapping Includes books on handicapping. Horses Includes all books about specific horses. Race Histories Includes all books about specific races. Statistics Includes all books which are primarily statistical in nature, including American Racing Manuals and chart books. Stud Books and Breeding Includes all books about breeding, including stud books, stallion registers and books on breeding practice and theory. Track/Place History Includes all books which are histories of specific tracks or locations. Training and Care Includes all books about the care and training of horses, including veterinary materials and general books on equine care. Other Other Includes all books that don't closely fit any other category listed above.